Click to DOWNLOAD "30 Minute Layover (The Prelude)"
In an interview with theage.com.au, Lupe Fiasco recently spoke about the difficulties he has with his label. Click to DOWNLOAD "Good Hip-Hop Meets Radio"
Click to DOWNLOAD "Crack the Code"
Konvict Music has a growing roster in many genres. Akon's label includes Lady Gaga, Kardinal Offishall and Colby O'Donis. This week it was announced that the Interscope-based outfit will add a rapper to the mix, in San Franscisco's Ya Boy. Click to DOWNLOAD "Smokee Robinson"
This week flaunts several noteworthy mixtape compilations including HipHopDX and Kevin Nottingham’s HiPNOTT Records 2010 Takeover Volume 2, T-Pain’s Nappy Boy All Stars Vol. 1, and Ski Beatz and Dame Dash’s 24 Hour Karate School, which showcases guest spots from Mos Def, Jay Electronica, The Cool Kids, Jim Jones, Ras Kass, Curren$y, and Jean Grae. The tracklisting for DJ Khaled's Victory album has changed a bit since first being released in December. Amazon has updated the planned tracks for the March 2 album on E1 Entertainment, and for reasons unknown, several high-profile appearances have been removed or altered. Click to DOWNLOAD "Always Have A Choice"
Everybody's gotta live with bad choices, even rappers. 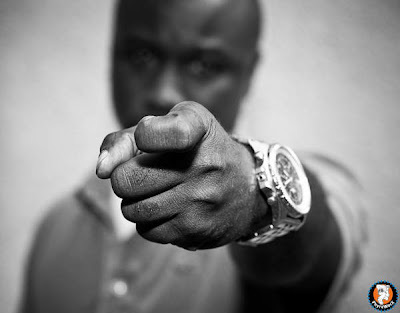 Havoc (of Mobb Deep) spits meaning on this track: "People make mistakes but mistakes make people." Click to TORRENT "DJ Easy Presents: Puerto Rico -A Tribute to Big Pun"
Click to DOWNLOAD "Blue Steel 2.0"
Click to DOWNLOAD "Defying the Predictable"